Many Alzheimer's patients are afraid of water. This explains in part why they often refuse to take a shower. Water is more or less invisible to many dementia patients. I understood from the beginning that when my mother was being mean spirited or acting downright crazy that it was the Alzheimer's disease that was causing the problem. In spite of knowing and understanding this as clear and clear can be, her new found behaviors were still upsetting to me and hurtful. Many of our daily interactions lead to enormous stress. It was not unusual for my mother to go into her room, curl up in a ball on the bed, and start whimpering. I would wait awhile for things to calm down and then go in and talk to her. This rarely worked, and it rarely helped. In fact, it mostly made things worse. The result would be me sitting in the living room with a sore heart and stomach asking myself - what can I do about this? For a long time I was stymied. No matter how hard I tried the situation(s) continued to worsen. It was not hard for me to understand that all of these episodes were being caused by Alzheimer's disease. Dementia was affecting my mother's memory, thinking, judgment, behavior, and her ability to perform normal daily activities. Not really. I found myself continually complaining to anyone that would listen about my mother's behavior. I am blaming my mother for her behavior. I am blaming Dotty. I am not blaming Alzheimer's, I am blaming my mother for her actions and behaviors. Blaming Dotty for what? For behaviors and moods that were the result of the progression of Alzheimer's disease. Why was this so hard to understand, comprehend and accept? Later on, I learned that venting and complaining the way I did is a pretty common phenomena with Alzheimer's caregivers. Most of us, maybe all of us, do it. I finally found a way to deal with my own shortcomings as a caregiver by inventing a new place called Dotty's World, which I renamed Alzheimer's World (AW). In order to get to AW I had to step to the left and tell my brain, we are going in, going in to Alzheimer's World. Amazingly, I couldn't make it there in the beginning without the giant step to the left. In AW I started asking myself, why is Dotty doing this? Why? Well as it turned out there was usually a good reason; or, a catalyst that caused her mean spirited behavior. Oddly, I could not see these catalysts when I was in real world. They were not apparent to me. Here are some things I learned in Alzheimer's World. Many Alzheimer's patients are afraid of water. This explains in part why they often refuse to take a shower. Water is more or less invisible to many dementia patients. So, when it starts hitting them in the head it scares them, or disconcerts them. One way to combat this is to make sure you turn the water on low. In other words, so it is not coming out too hard. In addition, you might assist the patient into the shower by bringing them in on the side and letting the water hit their hand and arm before getting them directly under the water. Be gentle, guide them, be patient, and use a nice calm voice. If you get all stressed and angry the shower won't go well. I'll assume you already know this, or are in the process of learning this. Another thing many Alzheimer's patients do is ask what day it is - over and over. Once into Alzheimer's World I started asking myself, why does Dotty do this? This one was easy. We spend our entire lives looking at our watch and clocks to determine time. We also spend a lot of time reminding ourselves what day it is, or putting the day of the week into context. Do you know what TGIF means? Here is a little exercise. Start counting how many times each day you look for the time - watch, computer, cell phone, clock. Start counting how many times you think to yourself what day it is and then put the day into some kind of context. For example, oh good, its Wednesday, I am going to watch American Idol tonight. My point here is simple by the way. If we need to put time and day into context so often, in other words, remind ourselves; why should it surprise us if a person living with dementia asks over and over - what day is it? Maybe they are trying to put their life in context just like you and me. Always ask yourself why? Why are they doing this? While asking why, look way beyond the obvious. Amazingly Alzheimer's World is often an upside down and backward place. As a result, the reason is often the exact opposite of what your brain might be telling you in the real world. Alzheimer's World is a wonderful and fascinating place once your open up your mind to it. In fact, once you make it to Alzheimer's World and start operating more effectively as a caregiver, you might just ask yourself - why didn't I get her sooner? You might want to read some of the related content. 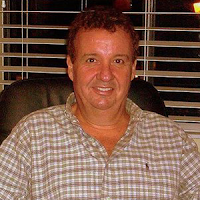 Bob DeMarco is the Founder of the Alzheimer's Reading Room (ARR). Bob is a recognized Influencer, speaker, and expert in the Alzheimer's and Dementia Community Worldwide. The Alzheimer's Reading Knowledge Base contains more than 4,000 articles, and the ARR has more than 343,000 links on the Internet. Bob lives in Delray Beach, FL.